If there’s one thing Kentucky teachers and administrators have had on their mind this past week, it’s our new school rating system. We just got our first look at last year’s state test scores and our new accountability system, per the Kentucky Department of Education. Teachers and administrators are already in the know about Kentucky’s school ratings, but with all of the changes in accountability, some worry that parents and families may be left behind in the shuffle. They don’t have to be. 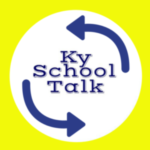 Here’s the rundown of what’s new with Kentucky’s school rating system. L, C, K, and M: they’re more than just good Wheel of Fortune guesses. These four letters indicate a student’s academic ability and projects their future proficiency in core content. Let me explain. “L” stands for “Less than Catch Up,” or not on track to make proficiency.” In the past it would have been called “novice”, meaning a student demonstrates minimal, limited, underdeveloped, and at times inaccurate content knowledge and reasoning. “C” is for “Catch Up,” or on track to make proficiency. We tend to see growth in these students. They are gaining academic ability, and if that gain continues, they will reach proficiency. “K” is the label for “Keep Up.” These students are either maintaining proficient or distinguished status in tested core content areas. They are exactly where they need to be with their learning path and indicate successful academic abilities. “M” represents “Move Up.” When students are in this category, it means they are moving into the distinguished status. They have reached proficiency and are now excelling beyond what is required of them. Not only are students receiving new indicators, but schools are also receiving new labels as well. Beginning the 2019-2020 school year, schools will be a part of a 5-star overall rating system by setting standards for low to high performance on six indicators. With the release of scores this year schools fall into one of three categories: CSI, TSI, or Other. CSI stands for Comprehensive Support and Improvement. There are three categories in CSI. CSI I – the school scored in the bottom 5% of all Kentucky schools. CSI II – the school had a less than 80% graduation rate in all Kentucky High Schools. CSI III – the school was identified for TSI II (lowest 5%) and fails to exit after three years. School has at least one subgroup whose performance in the state accountability system is at or below the summative performance of all students in any of the lowest-performing 5% of all Kentucky schools. School has at least one subgroup whose performance in the state accountability system is at or below the summative performance of all students in any of the lowest-performing 10% of all Kentucky for two consecutive years. “Other,” the final category, is where schools hope to find themselves. By being in the “other” category, this indicates that schools are doing what it takes to prepare students for a successful future. While all of this is new and learning the language is a bit daunting, it is ultimately designed to make it easier for all school stakeholders to look at the dashboard provided by the Kentucky Department of Education and get a quick glimpse into specific schools. The dashboard should be rolled out during 2019-2020 school year along with the 5-star rating system. Kelly Melton was a 2014 Ashland Teacher Achievement Award Winner and currently serves as a Kentucky State Teacher Fellow. She is a curriculum specialist in Muhlenberg County.